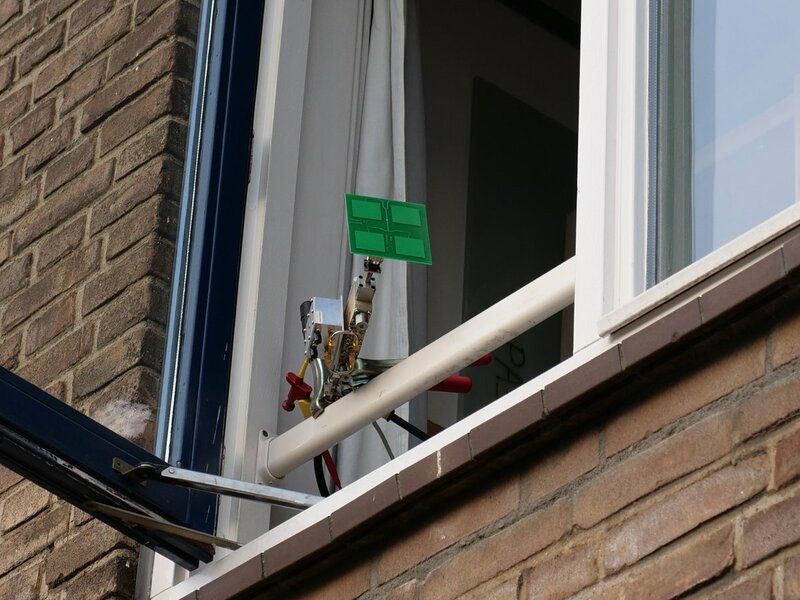 The SUWS WebSDR, a popular resource for the Amateur Satellite and 434 MHz High Altitude Balloon communities, has recently been upgraded to support VLF and 49.990 MHz for Meteor Scatter observations. 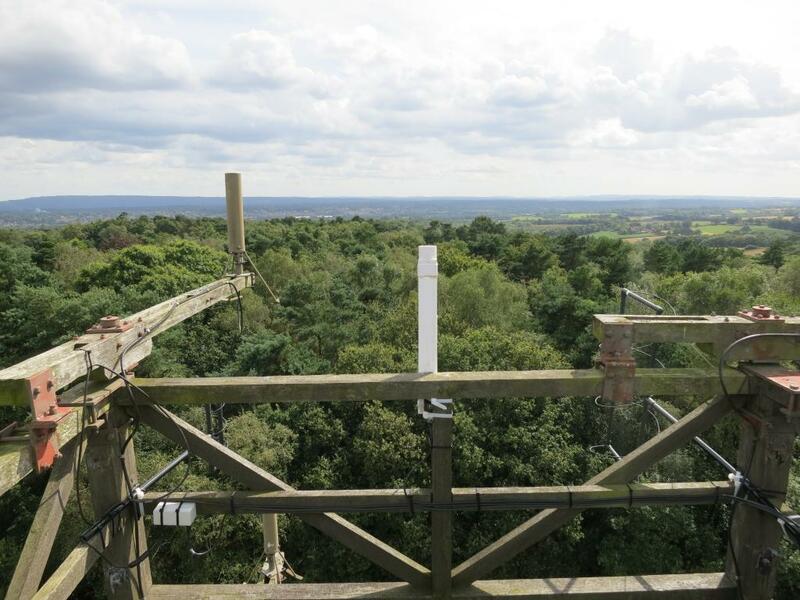 The SUWS team hope that these new bands will further enhance the capabilities of the WEB SDR, which already covers a large proportion of the 2m, 70cm and 3cm Amateur bands. 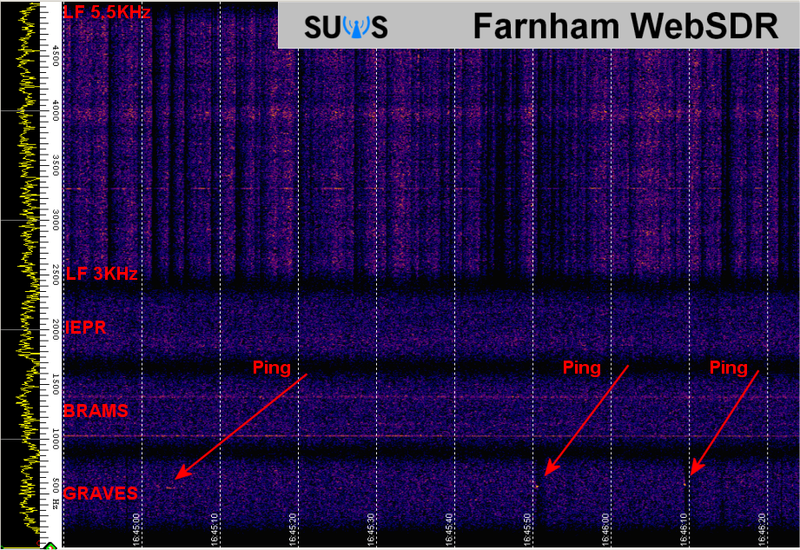 The bands were added in order to try and replicate some of the work already undertaken by Dr David Morgan 2W0CXV and to make the SDR available as an on-line resource for others who are interested in observing such phenomena. Performance on the VLF bands is now quite good, but it still suffers slightly from some electrical noise from other equipment in the site and Sferic noise (Lightning discharges) from about 4 kHz upwards. However 143 MHz is working well and Pings from Graves on 143.05 MHz can be heard quite frequently. 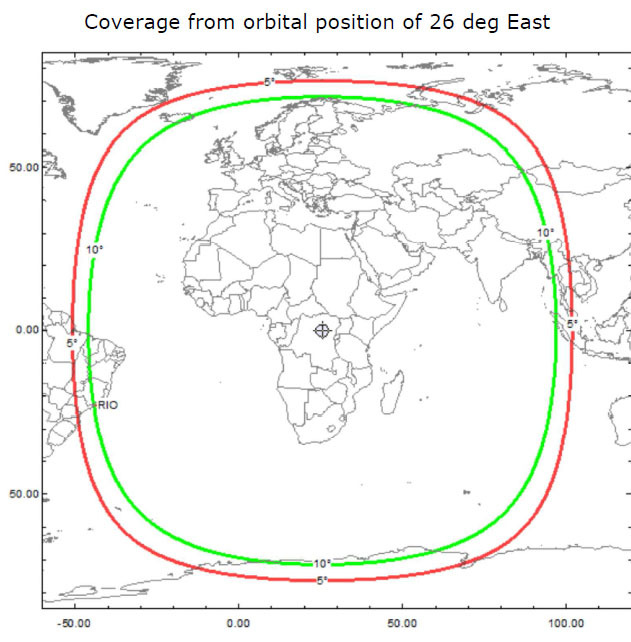 Here is an example of how the WEB SDR can be used to detect meteors. It is possible by looping a PC sound card input and output whilst running a web browser, to use Spectrum Lab to display a waterfall of the audio from the PC. Then by opening multiple instances of the WEB SDR in the browser, selecting USB and setting each SDR instance to a slightly different centre frequency and adjusting the filter pass-bands. It is possible to concurrently capture plots from VLF signals, IEPR, BRAMS and GRAVES and display them side by side on one screen (see attached). Because the same PC, Browser and internet connection is being used for all the signals, the plots should be almost time synchronous. The SUWS team hope that these new enhancements will be enjoyed by their users, and expect that further improvements will continue to be made over the coming months. 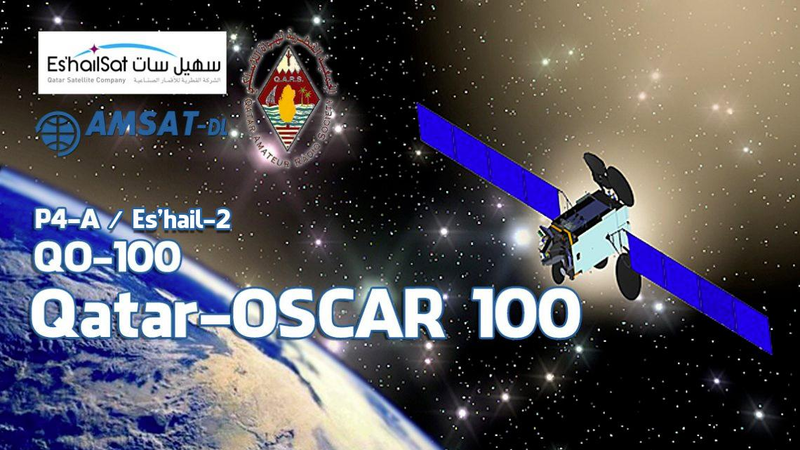 AMSAT-UK publishes a newsletter, OSCAR News, which is full of Amateur Satellite information. A sample issue of OSCAR News can be downloaded here. 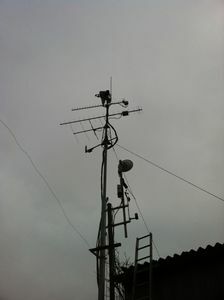 The Southampton University Wireless Society SUWS VHF/UHF/Microwave WebSDR has now moved to its new site in Farnham. 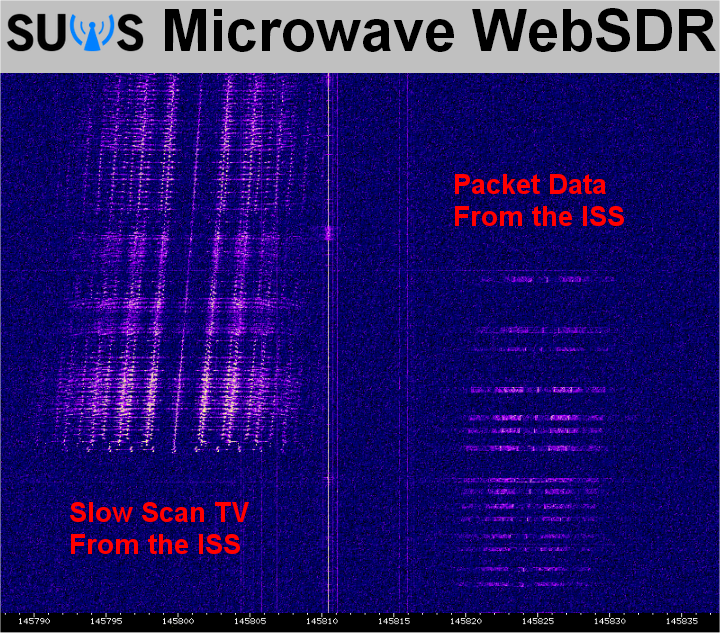 You can use the free online SUWS Web Software Defined Radio (WebSDR) from your PC or Laptop to receive the International Space Station (ISS) and the many amateur radio satellites transmitting in the 144-146 MHz or 435-438 MHz bands. 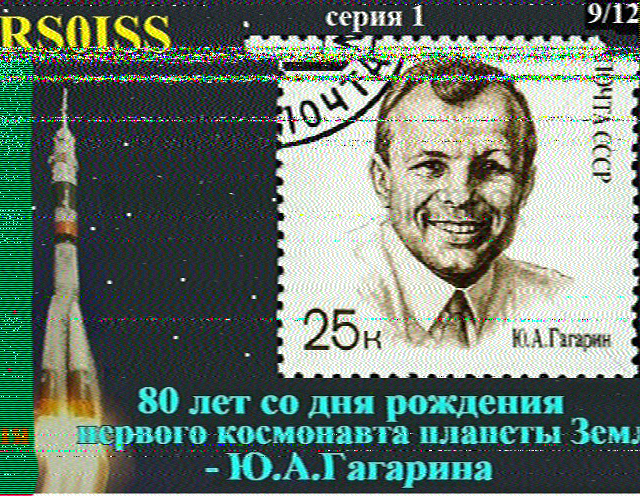 The WebSDR also provides reception of High Altitude Balloons in the 434 MHz band and coverage of the microwave 10368-10370 MHz band. 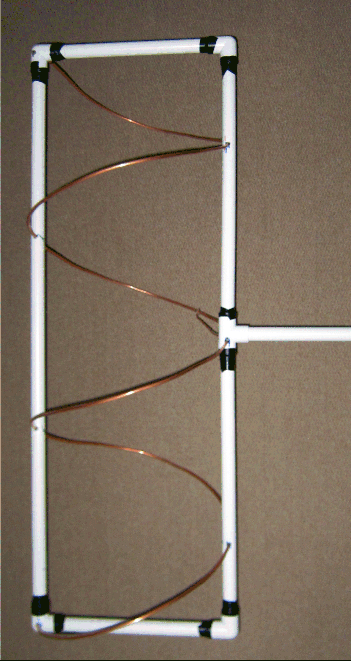 Martin Ehrenfried G8JNJ has equipped the SUWS WebSDR with omni-direction helix antennas for both 144-146 MHz and 432-438 MHz which have proved effective for both high altitude balloon and satellite reception.